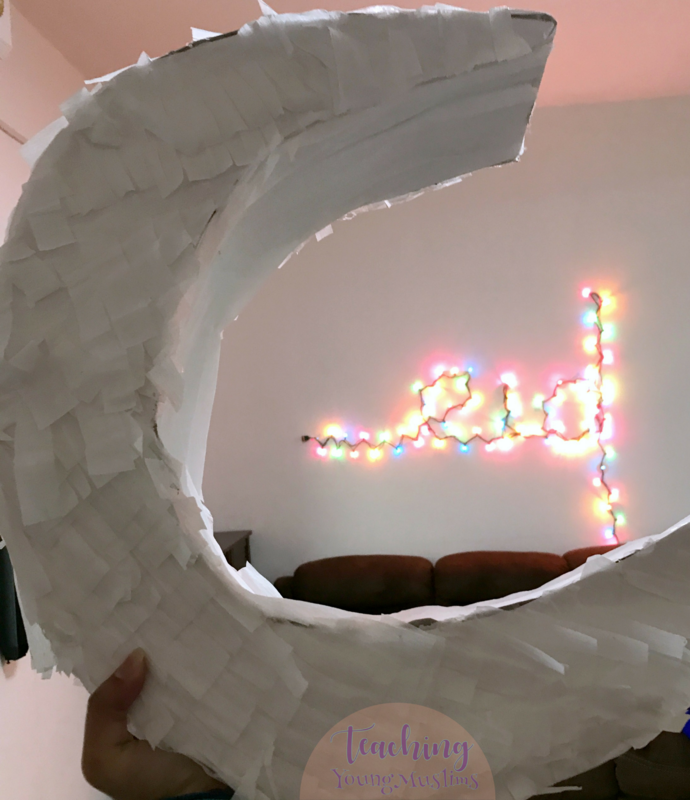 One of my favorite parts of this past Eid was this moon piñata! Inspired by Oh Happy Day, we decided to make a piñata for our Eid party. We used the these instructions for the most part, with only a few modifications. We glued a white piece of poster board on top of the brown cardboard, so that our fringe didn’t have to be as dense – any gaps would only show white poster board. We also used glue rather than tape to hold the moon together. Our cardboard was too thick to bend for the curve of the moon, so we used white poster board there as well. This was definitely easier as a two-person job. 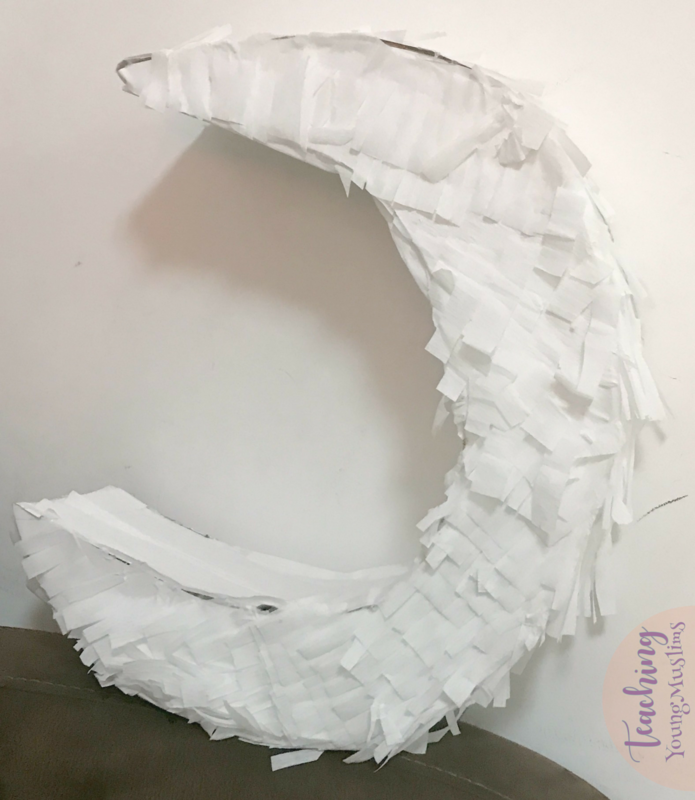 Making the moon was actually easier than I had anticipated – the hardest part was cutting the cardboard that gave the moon its sturdy shape. I thought that cutting and gluing the fringe would be very tedious, but honestly, it went by a lot quicker than I had expected. Due to the number and ages of our kids, we decided to hand the kids the piñata and let them try to break it with their hands, rather than hanging and having them take turns hitting it to break it. It took them a solid two minutes to figure it out, which in my opinion, is a success! Alhamdulillah. I hope you all had a blessed and memorable Eid! !